Jake Tapper posted on Twitter the following video from the Obama 2012 campaign. 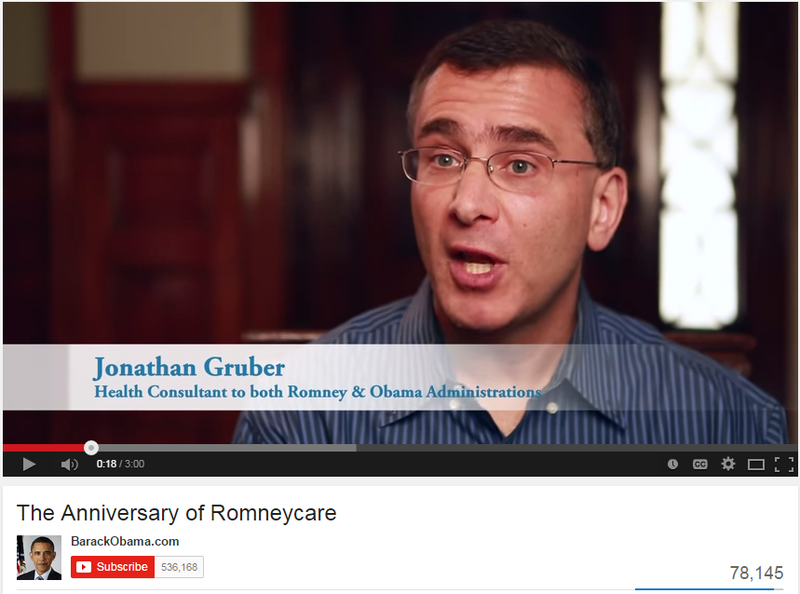 In it, Jonathan Gruber mentions how he helped Mittens Romney develop Romneycare, and then went to help Obama put Obamacare together. In case this video disappears, here's a screenshot. But since his video where Gruber is caught on camera saying they were less than transparent, in order to take advantage of the "stupid" American voter, Democrats and Obama can't seem to remember who Jonathan Gruber is. But it is all over the Internet, there's no denying his links to Obamacare.